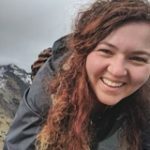 Becca Anne Robinson, a graduate student in Iceland, posted a very comprehensive Iceland travel guide in the Facebook group Girls Love Travel. It is a very comprehensive guide covering how to get there, how to get around, where to stay, and what to do, plus quite a few frequently asked questions. To make the guide accessible to more people, I am publishing it here with Becca’s permission. Make sure to bookmark this Iceland travel guide for your future trip to the Land of Fire and Ice! Welcome to my favorite sub-Arctic island! Iceland is full of wonders both natural and man-made, but it’s up to you to make sure you have a safe, responsible, and unforgettable experience. Here are some tips to help you plan. The two Icelandic airlines are IcelandAir and WOW Air. Both run promos and sales almost in tandem with each other, so it is often simple to find good airfare. If I want to travel easy, I usually choose IcelandAir as it’s more comfy; you have access to entertainment and selected refreshments as well as better baggage allowance. With WOW, base fare is cheap but everything else is an added fee. They’re growing and not nearly as bad as they used to be regarding delays, but like any budget airline, you get what you pay for. Flybus is operated by Reykjavik Excursions and provides direct transportation to the BSÍ bus terminal as well as direct hotel drop-off and pick-up services. They also offer a variety of tour packages. Gray Line is also a tour company that provides airport transfer between KEF and RVK. Airport Direct is a newer company with shuttle service operating now and bus service beginning in March 2018. Stræto is the local public bus transportation service, traveling within Reykjavik as well as around the countryside. It takes longer to get to the airport with Stræto, so I think this is more convenient for in-town transportation. A one-way ride in town costs around $4.50 (this will probably go up on Jan 1) but countryside buses are more pricey. If you’re looking to travel the country on your own, definitely look into renting a car or camper van! There are so many options available that it can be really overwhelming to choose. Other travelers have had good luck with Lotus, and additionally I recommend recognizable rental services that have desks directly in the airport arrivals hall such as Hertz, Avis, or Enterprise. For those with award travel credit cards, check to see whether or not you can earn points or miles by booking cars through certain companies! Expect the possibility of hefty insurance holds (read the fine print!) and always take care when traveling on gravel roads or in windy conditions. Car doors can bend the wrong way if you’re caught in a gusty gale! Also, take seriously the recommendations and restrictions regarding the types of roads on which you should drive. I have seen some rental cars in awful situations, resulting from negligent driving. Remember: no insurance covers river crossings! You may also be entitled to fuel discounts at select petrol stations, depending on the car company you use. The best deals are often found at Orkan X, but N1 (pronounced N8 because the Icelandic “1” is pronounced like the English “8”…who knew!) is a popular and convenient travel stop. Check out this TripCreator blog to compare fuel stations for yourself. Gas pumps often require a chip-and-pin card, so please be aware of this. You may pay inside during opening hours, but you can also get a pre-paid card if you’re anticipating traveling overnight without a compatible card. Parking is only allowed in designated parking areas and campsites, but you may technically park anywhere as long as you have the land owner’s permission. Many natural attractions perceived as public lands are actually privately owned; the land owners have graciously opened them to the public but they do not belong to the public. Please respect their property so that we can continue to enjoy these marvels! The most important thing to know about Iceland is that our weather can change in an instant! We are in the middle of three atmospheric fronts, so our weather depends on which one of those fronts is winning. The north Atlantic currents help keep our temperatures mild, but our weather can be anything but. A rule of thumb is to expect wind and rain, and be pleasantly surprised if it’s sunny and calm. To keep informed about the current weather, forecasted weather, and loads of other information regarding earthquakes, aurora and potential volcanic activity, check out the website for the Icelandic Meteorological Office. Road closures happen relatively often and there are many roads in the central highlands that are inaccessible. Storms have been known to wash out some roads in the south and east, and wind gusts will cause coastal roads to close as they are simply not safe to drive in these conditions. If you are concerned about road conditions affecting your plans, you can check the current and projected status of the roads here. That said, don’t let the weather put you off visiting us. Iceland in winter can be really beautiful! 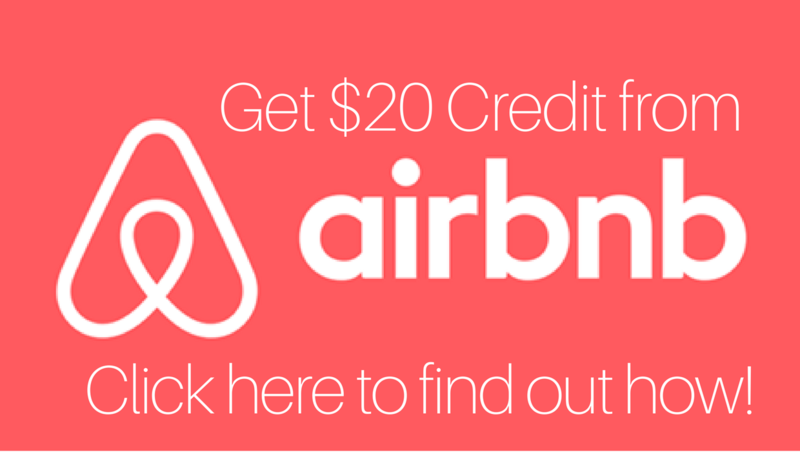 A considerable percentage of properties in Iceland are now Airbnb listings, but they book quickly and they are not cheap. Hostels aren’t, either. Whatever your itinerary, you need to plan accommodations in advance! In town, a few of my favorite hostels are Bus Hostel and KEX Hostel; women travelers have also enjoyed the centrally located Hlemmur Square Hostel as well. Food isn’t cheap either; a decent dinner will likely run anywhere between $50-$100 before drinks, which are, on average, $12-$25 if they’re alcoholic. If that isn’t your style, you can grab a falafel for $12 or a delicious Icelandic hotdog (an absolute must!) for $4.50. Better yet, grocery shop for most of your meals! The budget stores have limited hours (which is why they can afford to be budget) and the cheapest one is Bónus. Kronan is great, too. Beware of 10/11 or smaller corner shops; in some cases, they charge up to triple the price because they’re open later. If it’s daytime, check out a budget store instead! There are tons of museums, cafes, and boutique shops in Reykjavik, many of which lie on the main shopping street Laugavegur. Visit the famous Hallgrimskirkja and Harpa, and check out the sculpture walk along the bay where you can see Solfar. Take a walk down by the old harbor and walk to the top of Þúfan (Thufa) for an incredible view of the mountains across the bay. Then, stop at Valdis for some famous Icelandic ice cream. The flea market Kolaportið (Kolaportid) is open Saturday and Sunday from 11am to 5pm, and it is a great place to find gifts. Try some Christmas cake, or buy some fresh fish. Oh, and again…Icelandic hot dog stands! You can find them all around town and, especially, at the public swimming pools. This is probably the most crowded part of Iceland, besides Reykjavik. However, don’t let that deter you from seeing it! 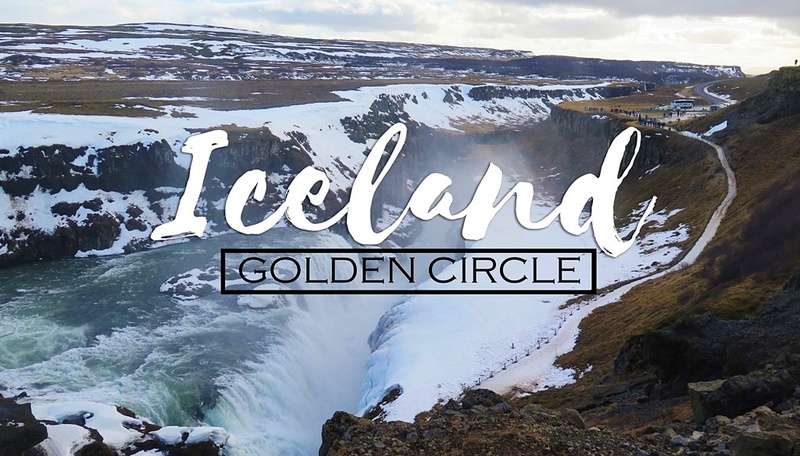 The Golden Circle includes Þingvellir (Thingvellir) National Park, Geysir geothermal area, Gullfoss waterfall, Kerið (Kerid) crater, and more. Along the south coast, you can hike up to the hot river around Reykjadalur from the town of Hveragerði (Hveragerdi) and relax in the geothermal waters. The south coast is where you’ll find about a million waterfalls including Seljalandsfoss and Skogafoss, as well as the black sand beach at Vik and the famous plane wreckage. Please exercise caution on the beach; tourists have died from creeper waves and rip currents that occur there! You will also gain unprecedented access to some of our glaciers; the outlet glacier Solheimajökull is easily accessible to approach, but you should not hike on the ice without crampons or a guide due to heavy crevassing and calving. Several glacier lagoons dot the southeast coast, including the famous Jökulsarlon near Diamond Beach. If you wish, you may also take the ferry to the stunning Westman Islands. These volcanic islands are a great place to hike up to a still-cooling volcano and see puffins in the summer! This stunning peninsula is home to Snæfellsjökull National Park, featuring the glacier Snæfellsjökull surrounded by impressive lava fields. Stop along the black sand beaches and quaint towns of Stykkisholmur, Grundarfjordur, Olafsvik, and Hellissandur along the north coast of the peninsula. The south coast of the peninsula has stunning bird cliff views and a few hidden cafes as well as a couple very well hidden hot pots! The West Fjords area is one of the hardest areas of the island to access, as the roads are only open a certain time of year. However, if the weather cooperates and you have time to drive back and forth around fjords for hours, it is a stunning trip! Visit the arctic foxes Ingi and Mori in Suðavík (Sudavik), watch planes pop in and out of the airport in lovely Ísafjörður (Isafjordur), and climb to the top of a man-made avalanche barrier in colorful Flateyri. Soak in Arctic seaside hot pots in Drangsnes and do not miss a hike around stunning Dynjandi waterfall! If you have time, check out the largest bird cliff in the world Latrabjarg for puffin season, generally running April-September. The second largest city in Iceland is the crown jewel of the north: Akureyri. Akureyri is an absolute gem and offers a touch of civilization if you are missing it! It reminds me of a mini Reykjavik in some ways, but has a lot more trees and some lovely quiet natural areas to walk around. Make sure to get some ice cream at Brynja and walk around the botanical garden, then pop down to the Christmas House for Christmas all year round! Akureyri is at the base of the peninsula Tröllaskagi, which is one of the most beautiful parts of Iceland. The quaint town of Siglufjörður (Siglufjordur) is my favorite! From Akureyri, you are about 30 km from Goðafoss (Godafoss) and about 100 km from Myvatn and Reykjahlíð (Reykjahlid), as well as the Krafla geothermal area. If you have time to hike around the Leirhnjukur lava field, do it! Then, head across the desert highlands to Dettifoss, Europe’s largest waterfall by volume. The East Fjords are lovely as well, and tend to match the West Fjords in terms of seclusion and serenity. This is a quiet and adventurous trek; beware of road conditions through mountain passes but expect your efforts to be rewarded with gorgeous views as you descend into the little towns. I have really enjoyed eating fresh fish in Djupivogur, side-tracking to explore Sveinsstekksfoss, and finally landing in Seyðisfjörður (Seydisfjordur). This is where the ferry to Denmark departs, and is a lovely place to stop and rest. For the purposes of this Iceland travel guide, the Central Highlands refers to basically everything in the middle! This is where things get really dangerous and mostly inaccessible. However, there are places near the central highlands that are easily accessible, such as Hraunfossar and Barnafoss near the Langjökull glacier. 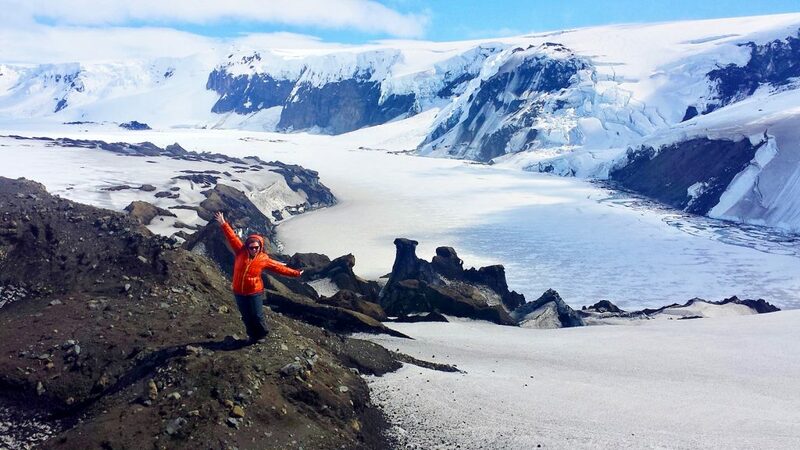 For a true highlands adventure across the volcanic desert or around the remote glaciated regions, I definitely recommend going with a tour company such as Icelandic Mountain Guides. I trust Mountain Guides with my life, and they know their way around the dangerously free-interpretive roads and winding river crossings that occur in the highland region. The Northern Lights are not seasonal in the sense that we perceive seasons on Earth; they actually have to do with the Sun and its magnetic cycle. In a nutshell, what happens is this: as the Sun rotates, it drags its magnetic field around with it until the magnetic field gets really tangled up. Loops of magnetic field lines end up getting stuck in the Sun’s outer layer (called the photosphere) and attract the charged gas (plasma) there. Eventually, enough magnetic energy builds up such that those loops break and send the plasma free to fly through space, sometimes towards us. If that Sun plasma reaches Earth and couples correctly with Earth’s magnetic field, the Sun plasma travels down the Earth’s magnetic field lines to the magnetic poles, essentially “raining” down. As the Sun plasma starts to rain down, it begins to interact with the higher levels of Earth’s atmosphere; in particular, the ionosphere. In the ionosphere, the Sun plasma undergoes nuclear reactions with several types of oxygen ions, releasing light as each electron in each atom changes energy levels from the reactions. That light is what we see as Northern Lights, or Aurora. It usually looks green, but deep and bright purples can creep in there if the interactions are strong enough. Iceland happens to be at one of the best latitudes to see the lights in the Northern hemisphere, so if anything is happening, we can usually see it from here. Unfortunately, Iceland only has darkness for half of the year so they aren’t visible in the summer. It isn’t because they aren’t happening; it’s because it’s too bright outside to see them if they are. The lights tend to be strongest around the vernal and autumnal equinoxes, or in March and September, because of the alignment of Earth’s magnetic field with respect to the Sun’s magnetic field. However, they can happen any time it’s dark and clear enough to see them. If you are lucky, follow this advice to learn how to take some amazing pics! Don’t forget to take some time to just appreciate them; they love to dance around our winter skies. A: The temperature ranges from roughly -10 C to 10 C, sometimes cooler, often a bit warmer in summer. However, our weather can be insane. A good rule of thumb is to dress in layers and wear waterproof everything. Waterproof linings, trousers, and boots are a must for Iceland! Q: When do the puffins come? A: They usually arrive in April and are gone by September. The best places to see them are in the Northeast, the West Fjords, the Westman Islands, the open sea, or any place with a nice cliff for them to perch. Q: Should I be concerned about daylight? A: Yes. In midsummer, we have no darkness. On the summer solstice, the sun “sets” just after midnight and “rises” again before 3AM. In winter, we have barely any sun. On the winter solstice, the sun “rises” after 11AM and “sets” long before 4PM. Take this into account if you’re traveling during the dark days! Q: Is it expensive in Iceland? Q: Will I see the Northern Lights? A: Probably not. But if you are lucky enough to be outside on a clear night when they arrive, then this is one of the best places to see them! Book a tour if you wish, but it isn’t necessary. They can easily be seen from town, or wherever you are. Just look up! Q: What language do Icelanders speak? A: Icelandic, but will default to English almost automatically for visitors. Most are fluent in English. Q: Do I have to shower naked before entering the public pools? A: Yeah. It’s not weird. Don’t make it weird. Q: What kind of plugs do they have? A: The two-pronged, type F socket. It also works with type C and type E. Standard voltage is 230 V, standard frequency is 50 Hz. Q: Do Icelanders eat whale? A: Not really, no. Icelanders don’t depend on whale the way other civilizations have needed to. The whale sold to visitors is usually Minke whale imported from Norway, anyway. A: Yes, there’s a Game of Thrones Tour. Q: Will I be there when a volcano erupts? A: I don’t know, probably not. Many of our volcanoes are active and restless, but they are being closely monitored by the powers that be and you should not find yourself in any danger. Don’t be alarmed by news that says that “Iceland could be hours away from a major eruption, blah blah…” because…that’s always true when you live in an active region! We have plans, just in case. Relax. Q: Rent a car, or depend on tours? A: That depends on how much autonomy you want over your trip, and how much work you want to do. There are so many tours available which could end up being budget-friendly if you’re on a solo trip, but if you’re in a group and the activity is safe to do on your own, it’s probably more frugal to tackle it by yourselves. Q: Snorkel Silfra or dive Silfra? A: Unless you’re already dry suit certified, snorkel it. The water is clear enough. A: Yep! It’s safe and relatively normal. Your biggest issue hitch hiking should (hopefully) be abrupt changes in weather. Otherwise, carpooling can be arranged with Samferda. Q: Should I try to learn some Icelandic words? A: Go ahead! “Thanks” is an easy one, it’s “Takk” (sounds like tock.) If you want to wish somebody goodbye, just say “Bless!” It’s exactly what it looks like. Q: Should I stay in Reykjavik the whole time? A: If you want to home-base from RVK, that’s okay since the island is so small. However, do get out of town and see some of the nature. It’s too stunning to miss it by staying in our little village the whole time! Q: Is alcohol really that expensive? A: With an average of $13 for a pint and $25 for a cocktail, yeah. Shop at Vínbúðin or pick some up at duty free in order to avoid downtown prices. Or, head to the Student Cellar on campus (Stúdentakjallarinn) for cheaper options! Q: Is the Blue Lagoon worth it? A: Eh, depends. If it’s a bucket list item, go for it! It is very nice, but we have so many other hot pots and pools around for free and cheap. Check out this site for a comprehensive guide! A: Yeah. Don’t mess with them. Did you find this Iceland travel guide helpful? Feel free to share! Becca can’t seem to sit still, but this suits her. She is currently in graduate school in Iceland training in physics. Her work has taken her all over the world, and her adventures include analyzing radar data in Peru, observing a supernova from an observatory in Arizona, drilling ice cores on Icelandic glaciers, and serving as the resident astrophysicist for Badlands National Park. 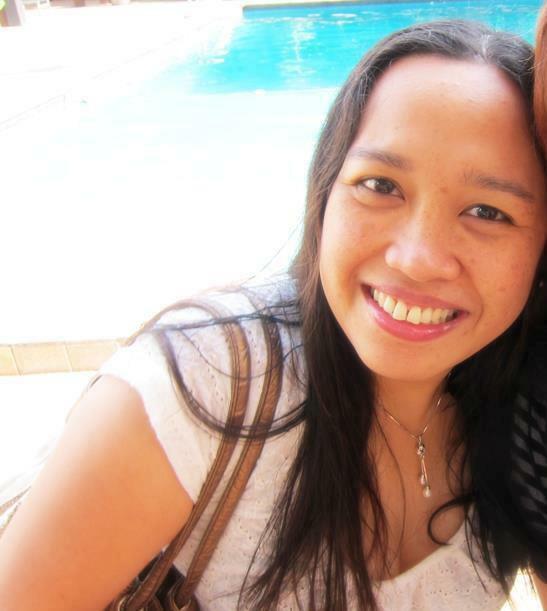 For her, traveling is a way to immerse herself in nature, take a break from the grad grind, and keep learning. Follow her adventures on Instagram and find more of her photos in Will Travel for Physics. These are amazing tips! I spent 2 weeks in Iceland driving the Ring Road and Westfjords and it was one of the most wonderful experiences of my life. It was in the summer so I didn’t see the northern lights, but I’d like to back in the winter for it. It’s really such a dreamy place and I can’t wait to return. Great guide to Iceland! Iceland is one of our favorite places and we just can’t get enough of it. We loved road tripping through the West Fjords but wish we had more time to spend in the north and east portions of Iceland. We would love to get to the Central Highlands sometime too and it’s good to know that Icelandic Mountain Guides is a good tour company to go with! This is such a comprehensive guide, love it! I’ll defs have to look into Lotus as I’m planning to visit next September. Didn’t know what puffins are but bummer I won’t e seeing them. This will for sure come in handy when planning my trip though so thank you!!! This is such a useful guide for Iceland! Definitely one of the best I’ve seen. It’s so cool that Becca is living and studying there! I appreciate all the insider information from the plug types to the language tips. Definitely saving this on Pinterest to reference later. Bless! Iceland is such a wonderland of a place. It is the stuff that dreams are made of for us. This is a lovely guide that will stand in good stead for first timers to this beautiful land. The Northern Lights are one of the reasons that we want to get to Iceland and we hope to see them too. What a great post! I so want to visit this beautiful country with my family, rent a car perhaps, do the (crowded) Golden Circle area but also some of the lesser travelled places. The FAQs are wonderful. One more post on Iceland to convince me of its beauty. I have to really start thinking about this destination. How does October sound, weather wise for a trip here? Hi, Punita! October/November in Iceland can be very unpredictable as this is when we get our howling autumn rain storms. However, we still have enough daylight to go out and see things, and it certainly can be sunny and calm. To be safe, make sure you bring waterproof linings, trousers, and boots and you’ll be alright!